Artist; bookbinder; singer; writer; teacher; mentor; advocate; mother; wife; sister; daughter; traveller; immigrant; returner; former lawyer; aspiring librarian; nature lover; collector; dreamer . . . . 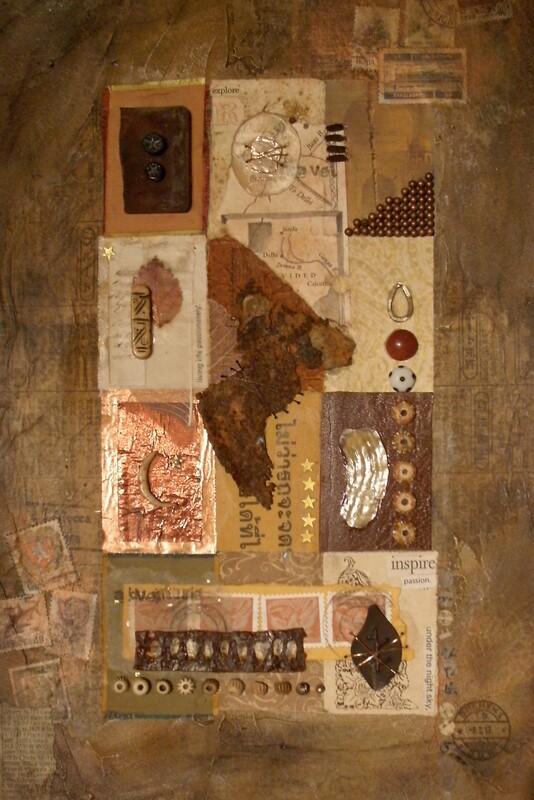 Welcome to the blog of artist and artisan Dea Fischer. With a growing reputation as the maker of artist’s books of great beauty, Dea is a multi-disciplinary artist with an extensive background in bookbinding and collage techniques. Photography, sculpture, large-scale community and public art projects, painting and writing round out the picture. Dea has a slow-burning love affair with books, collage and low-tech photography and teaches sold-out courses in bookbinding, altered books and collage. She uses her work to meditate on spiritual themes related to our relationship with nature and the natural world, and our internal and external environment. In her off hours, she engages her community in acts of random creation.